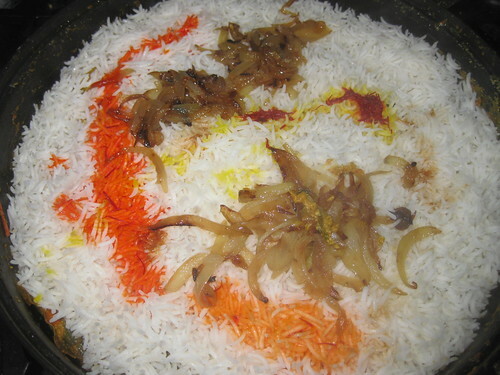 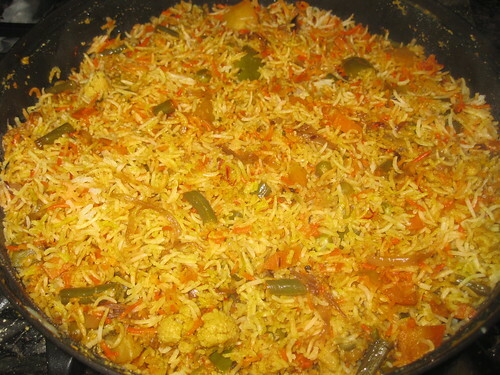 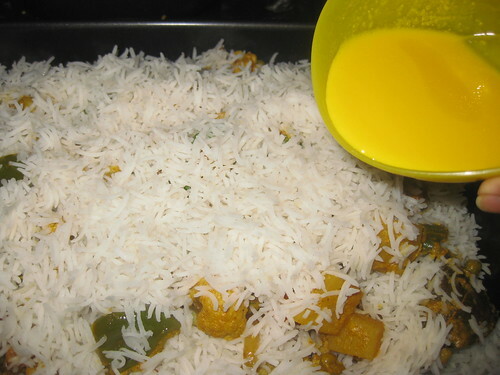 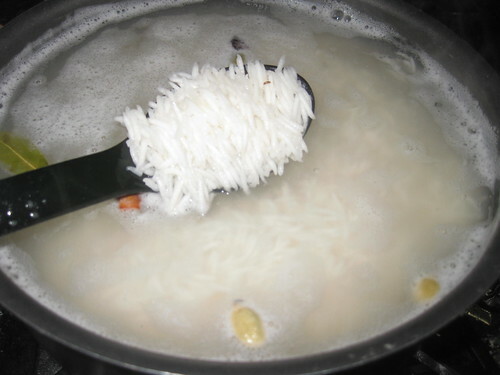 Soak basmati rice for at least 1/2 hour or as much as you can.Soak saffron in warm milk and mix the food color ,keep a side. 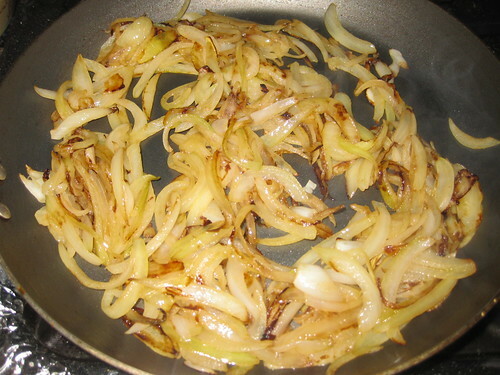 Heat 2 tbsp oil and fry sliced onion in a pan.Fry until golden brown and keep aside. 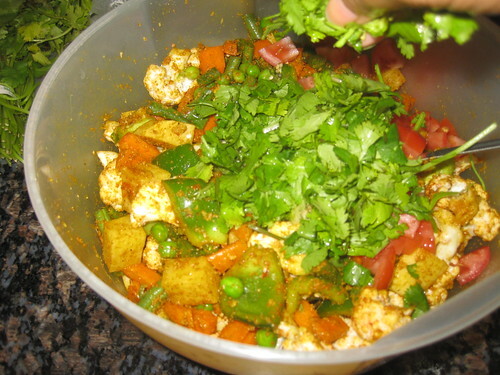 Marinate the all vegetable pieces tomatoes,turmeric powder,coriander powder,garam masal powder,chilli powder,green chilli paste,lemon juice,salt to taste ,mint leaves,coriander leaves mix all.Keep it for 1 hour. 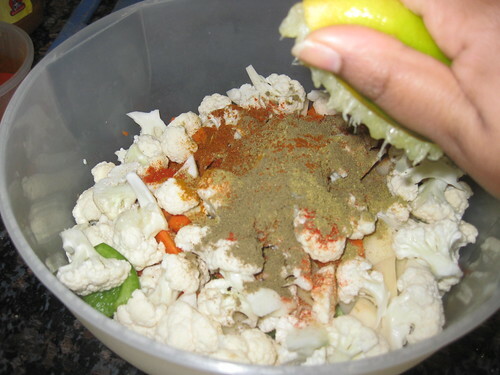 In a big pot bring to a boil ,add all the spices for boiling rice and mix well. 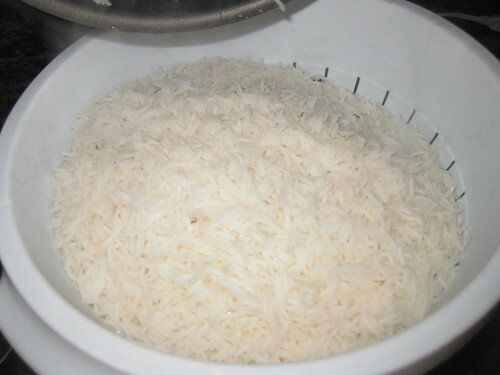 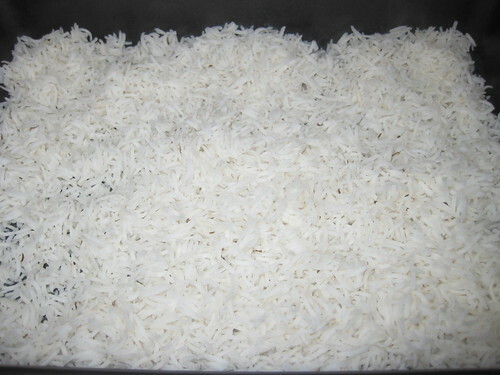 Add rice and continue to cook until you get a one good boil,i e rice should roll over with boilling water.it takes about 3 minutes .Drain the rice and keep aside. 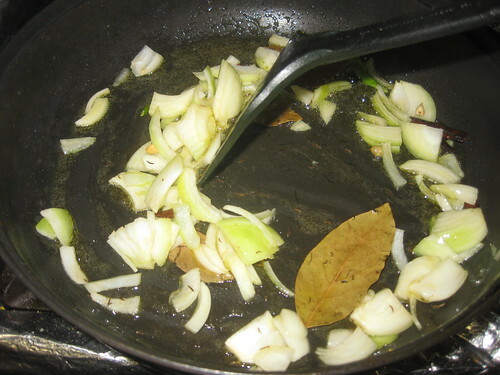 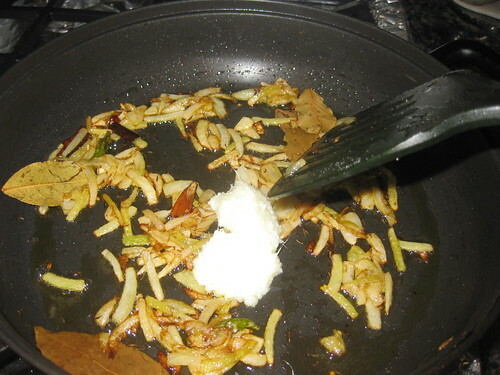 Heat remaining oil and season with whole spices fry for 2 minutes.Now add onion slices fry 3 minutes then add ginger-garlic paste fry for another 2 minutes. 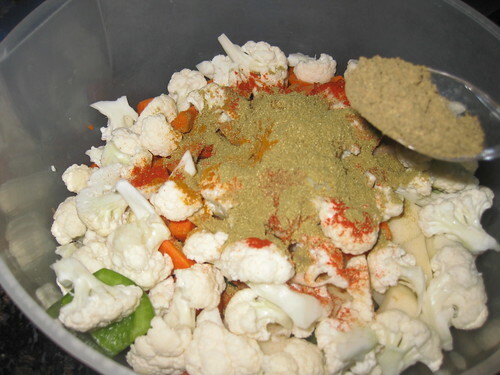 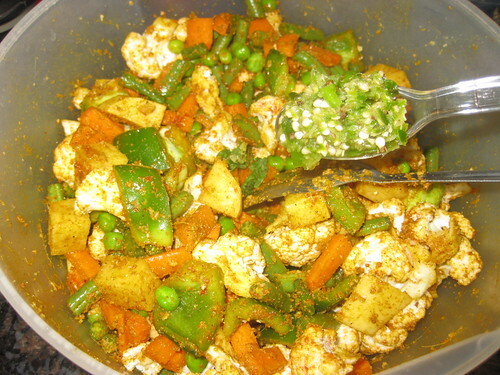 Now add the marinade vegetable pieces and biryani masala mix well. 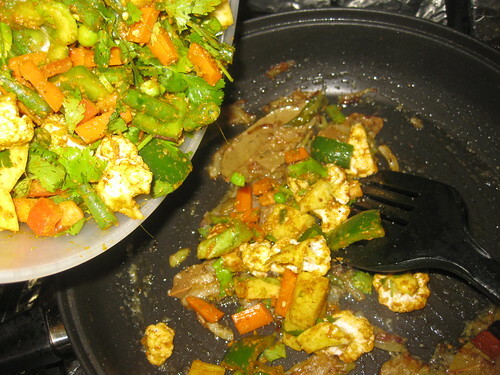 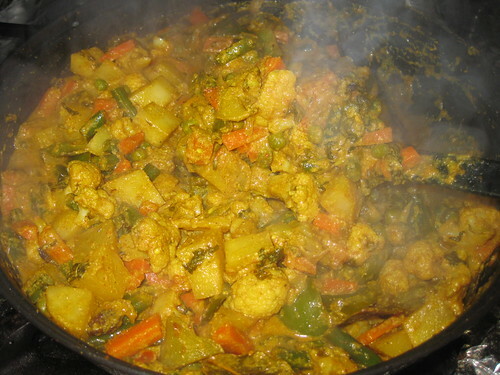 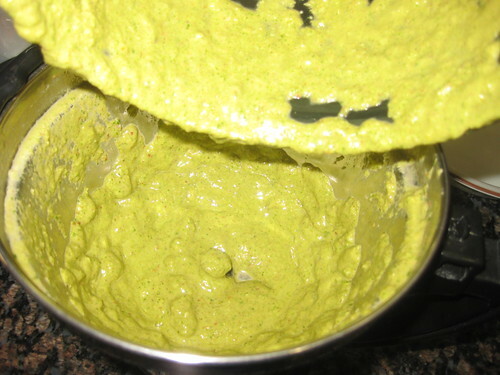 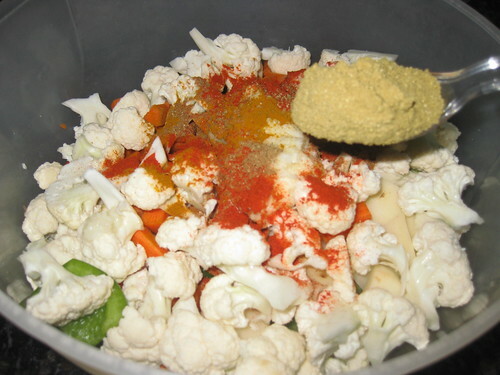 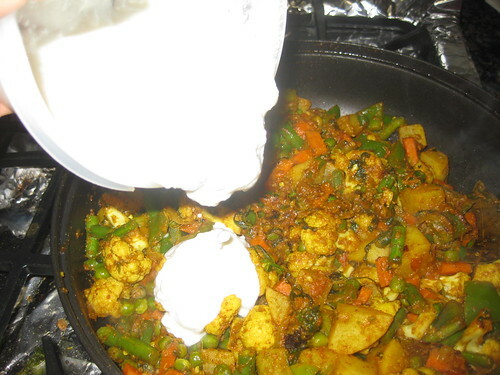 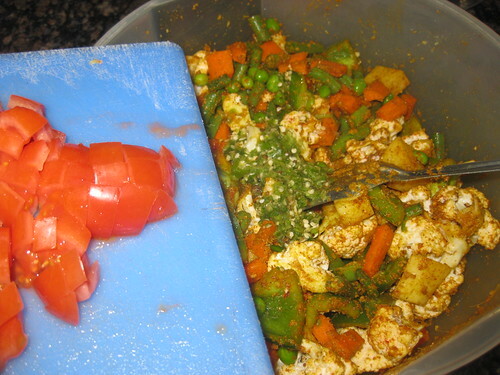 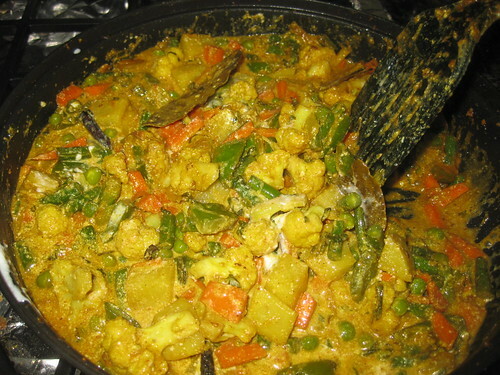 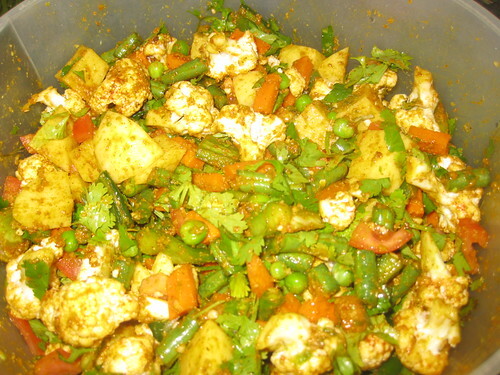 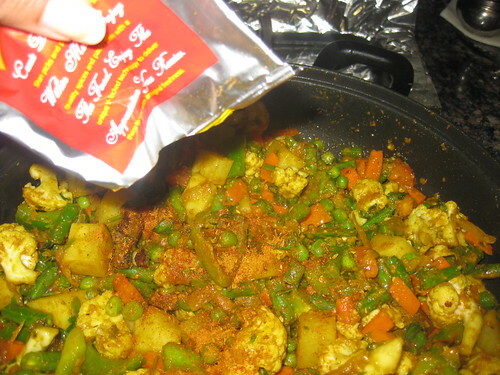 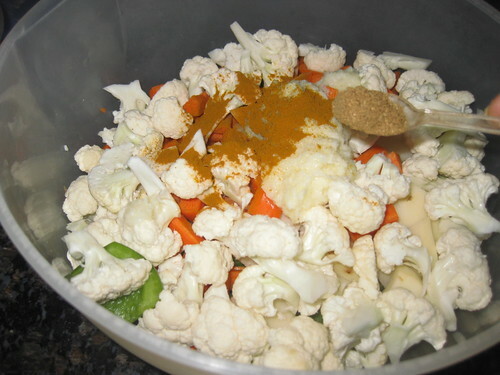 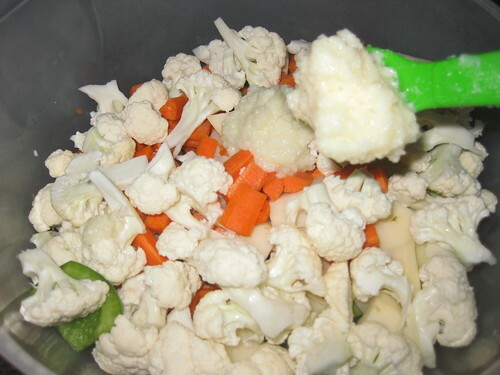 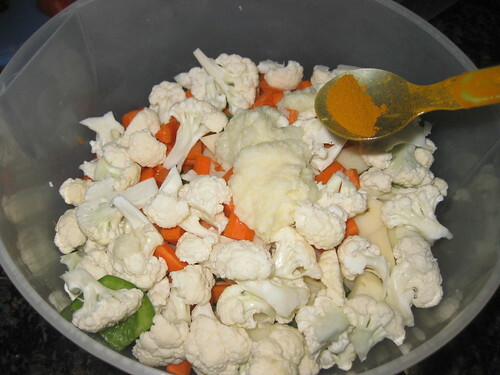 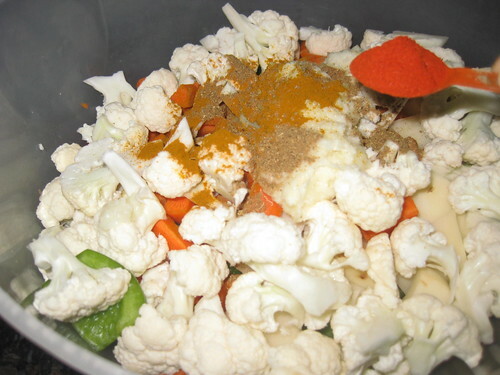 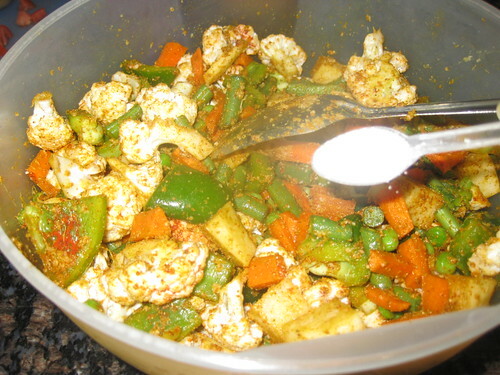 Then add the curd mix well and fry 5 to 6 minutes or until the masala coats the vegetables. 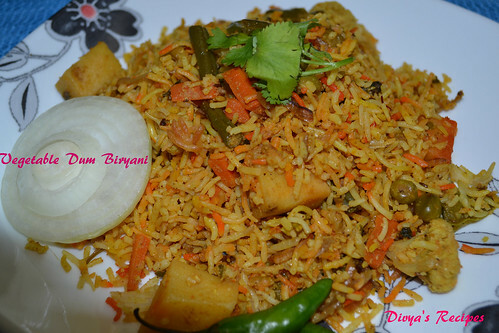 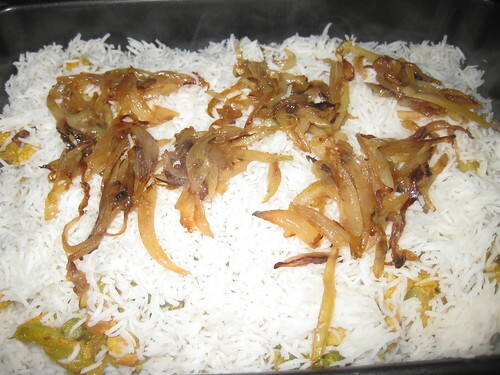 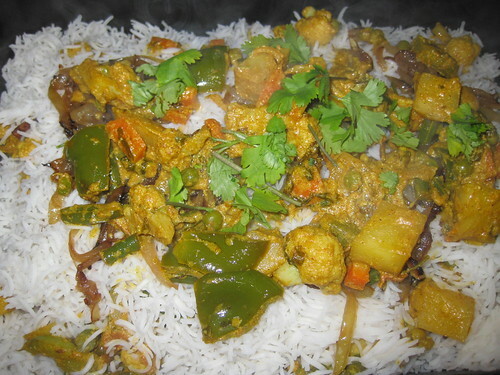 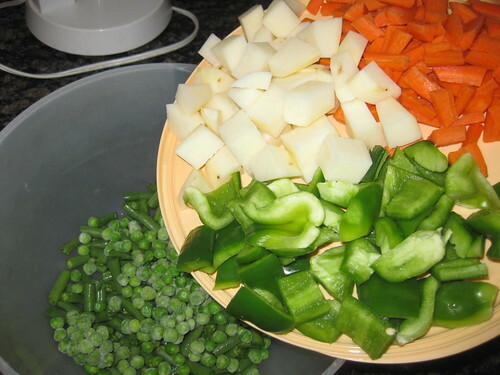 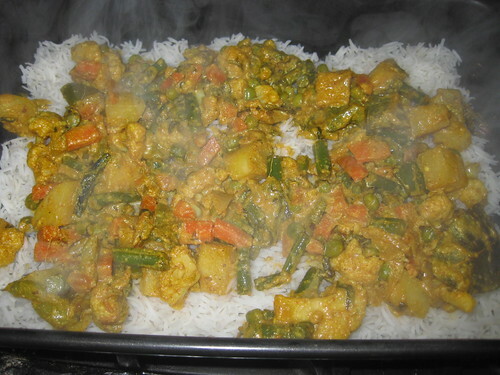 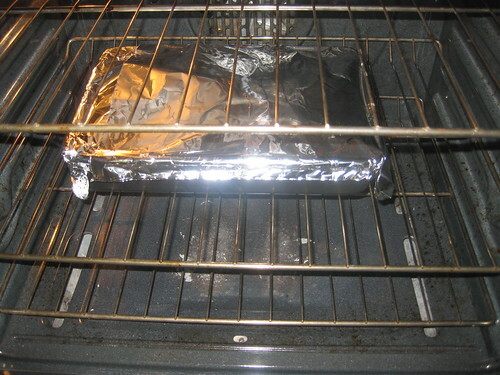 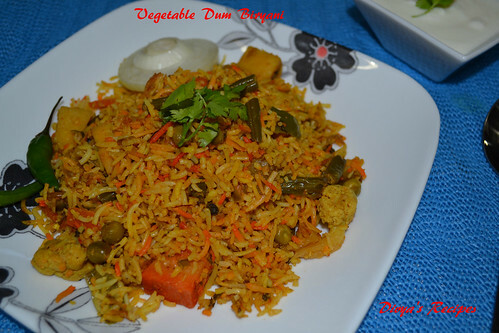 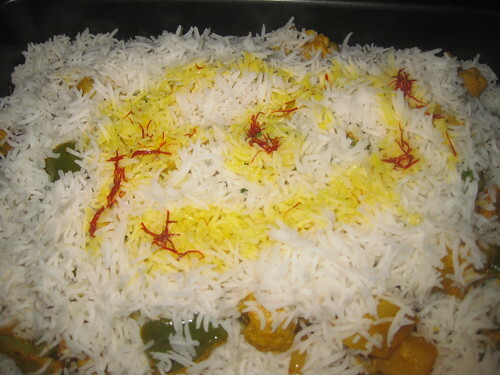 Preheat the oven 400 dgrees ,take a oven safe tray,layer rice and vegetables, bake at reduce temperature of 350 degrees for 20 minutes .Mix well and serve hot. 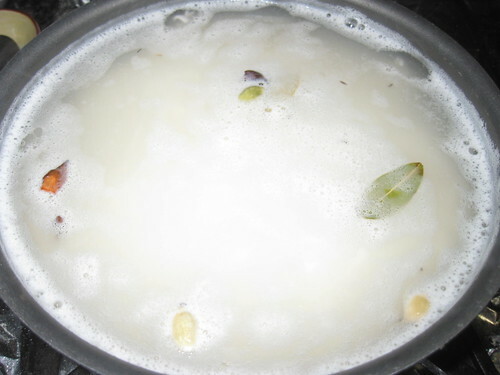 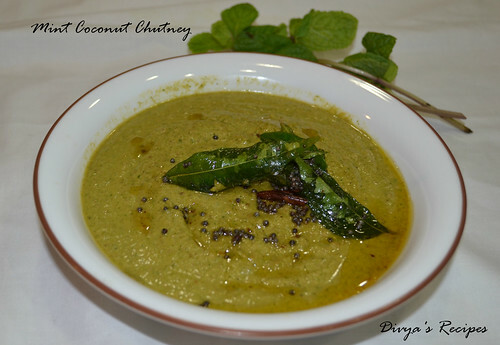 Serve hot with raita or any type of curry's. 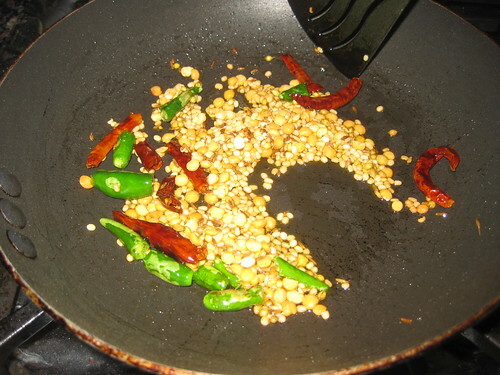 Heat2 tsp oil in a pan,add cumin seeds and coriander seeds,let them splutter.Add urad dal,channa dal fry till changes the color to light golden brown.Then add red chillies,green chilies fry for 3 minutesadd mint leaves and saute the leaves in medium flame until it just shrinks in volume. 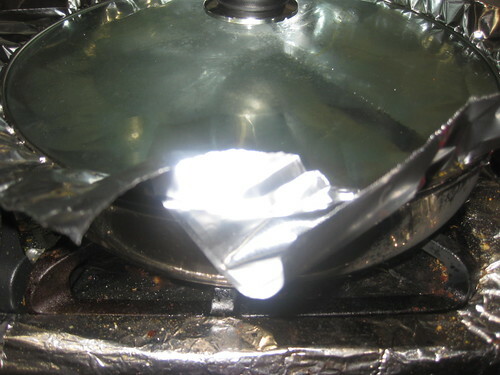 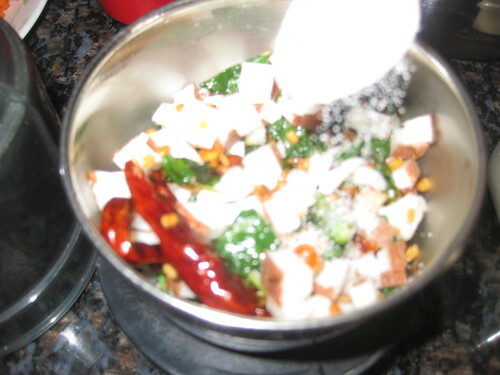 Now add the coconut into it and switch of the flame.Keep it aside for cool. 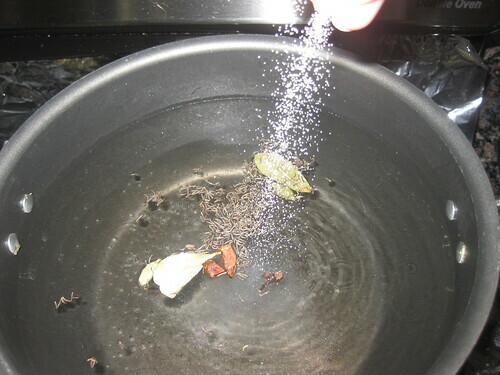 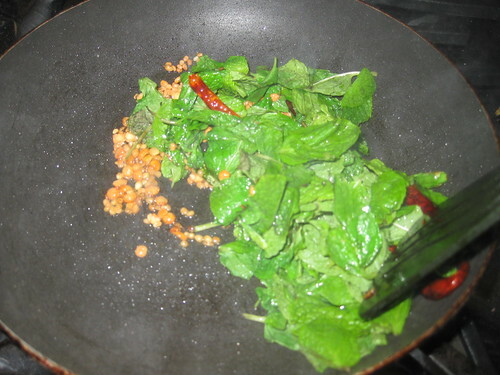 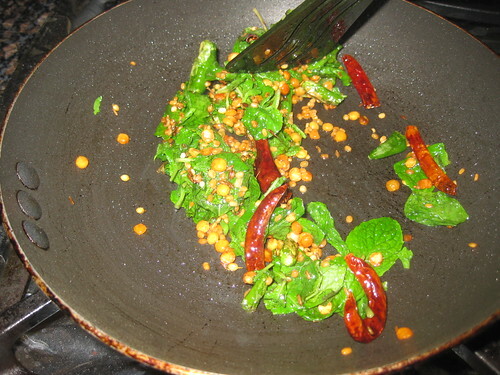 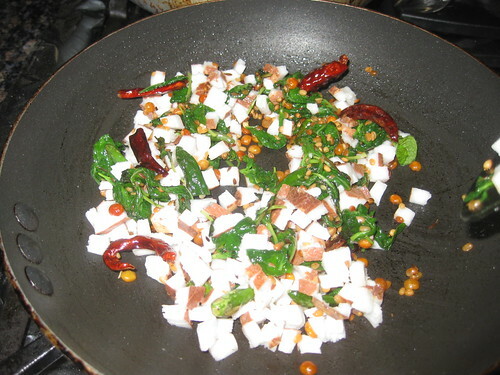 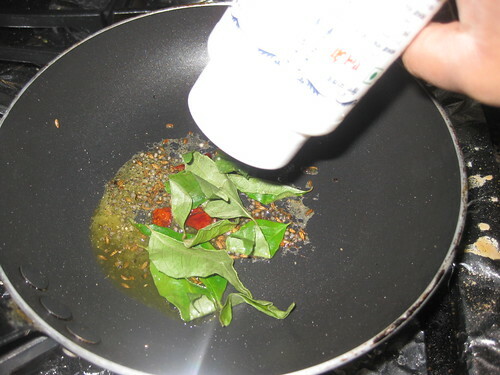 Then grind the sauteed mint mixture add salt and tamarind pulp.add few tbsp water while grinding. 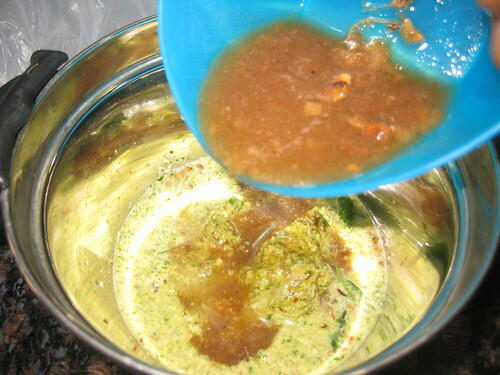 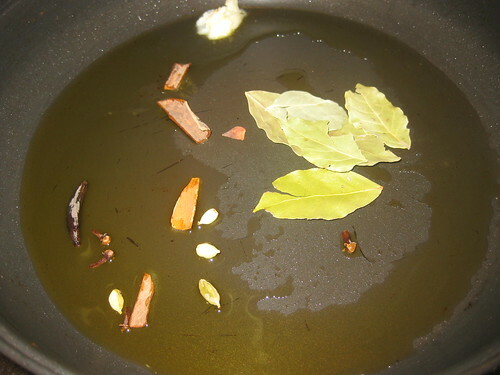 Heat oil in a pan,add the mustard seeds and let them splutter.Add red chilli,hing and curry leaves trun off the heat.Pour this seasoning over the chutney . 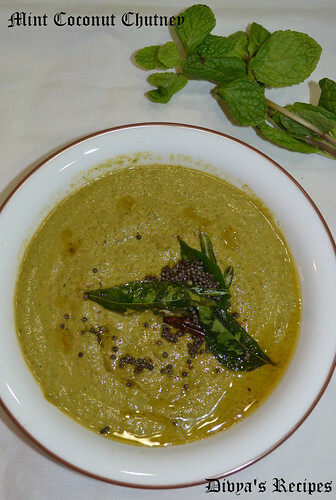 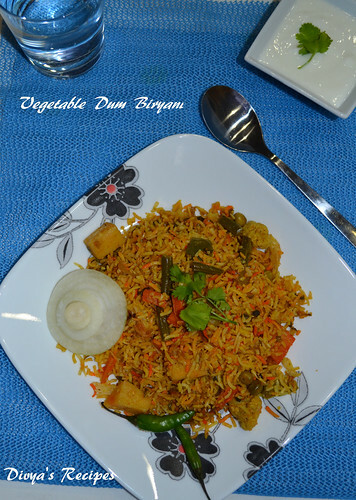 Serve with any idli or dosa or rice.